Facebook has announced it is introducing a new age restriction on weapon accessory adverts. Advertisers promoting gun and other weapon accessories, such as holsters, will have to restrict their audience to at least 18 years of age and over. The policy will come into force on June 21. Facebook announced on Friday that it is introducing new age restrictions on weapon accessory adverts. 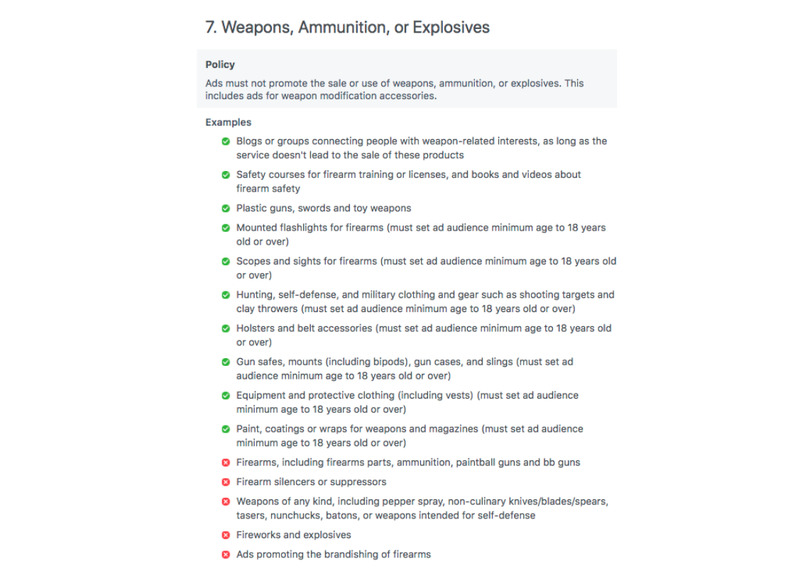 Facebook already prohibits the advertising of guns and gun modifications, like silencers and magazines, but is now updating advertising policy to restrict ads for accessories like holsters to over 18 year olds. 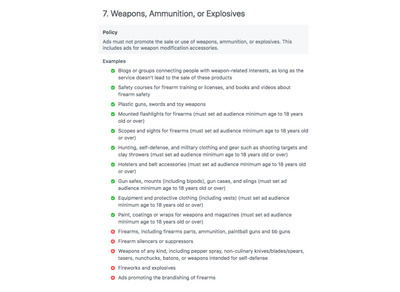 FacebookFacebook’s new weapons, ammunition or explosives policy. The decision seems in line with recent conversations in the US about gun violence, in particular, school shootings.